+ 1. What is being proposed? North Bergen Liberty Generating (NBLG) LLC, a subsidiary of Mitsubishi has proposed, and has requested permits to build a $1.5B, 1,200-MW fracked gas-fired power plant in North Bergen, NJ on a 15-acre parcel near Railroad Avenue on the banks of Bellman’s Creek. The electric energy produced by this plant would be transmitted by a 6.5 mile, 345-kV underground and submarine cable through North Bergen, Fairview, Cliffside Park and Edgewater and then tunnel under the Hudson River to connect with Con Ed’s substation on West 49th Street in Manhattan. + 2. Is there a need for this power plant? No private or public entity in either New Jersey or New York has stated a need for this power plant. This includes the New Jersey Board of Public Utilities, PSE&G, PJM Interconnection (which regulates the power grid in mid Atlantic states, excluding NY), Con Edison in New York and the New York Public Service Commission (NYPSC). NBLG has claimed that its power is needed to replace power lost from the planned shutdown of the Indian Point reactor. A study by the Hudson Riverkeeper shows that New York has a number of in-state options to meet that need, none of which include the proposed North Bergen plant. The NY Independent Systems Operator (NYISO) has stated,1 “New York state’s power grid will operate reliably after the Indian Point nuclear plant closes early in the next decade as long as natural gas-fired and dual-fuel resources come online as planned.” NBLG has requested a waiver of the NY Public Service Commission’s Article VII process for reviewing transmission lines earlier in 2018, saying that their plans should be grandfathered under a previous permit (nearly a decade old). On September 17, 2018 the NY PSC decided against NBLG. NBLG will have to go through the full Article VII process for a new permit, including a review for necessity (determine if the power is needed) by the NYISO and review for interconnection by Con Ed. + 3. What is the timetable for construction? NBLG is anticipating permit approvals by the Environmental Protection Agency and the New Jersey Department of Environmental Protection by the end of 2019, and to be operational by 2022. + 4. What is the expected lifetime of this plant? A plant of this size costing $1.5B is normally expected to be in operation for 30 to 40 years. + 5. Why have we not heard about this proposed power plant? Has the NJ DEP held any public hearings? Will they hold hearings? The NJ DEP was approached by NBLG in 2015 but chose not to alert anyone about the potential development. Groups such as Sierra Club, Food & Water Watch and Hackensack Riverkeeper only became aware of this project after the DEP had approved a number of permits in mid 2018. The North Jersey Record has had a number of articles on this and the coalition of organizations opposing it have had several rallies but no public entity such as the state or any county or municipality has taken it upon itself to educate its citizens. The DEP promised it will have public hearings on this project before it rules on the air quality permit currently under review. + 6. What is the current status of air quality in nearby communities? New Jersey’s environmental justice communities already have some of the worst air quality in the nation. Based on the American Lung Association “State of the Air 2018” report, the counties of Bergen and Hudson, which will be most impacted by emissions from this power plant already have significant populations (in some cases the largest in New Jersey), with pediatric and adult asthma, COPD, lung cancer, cardiovascular disease and diabetes, whose conditions will only be exacerbated by additional volumes of air pollution. Bergen and Hudson Counties already receive grades of ‘F’ from the American Lung Association for ozone air pollution. + 7. What types and volumes of emissions will this plant produce? Gas infrastructure facilities can annually emit into the air hundreds of tons of pollutants including particulate matter, toxic chemicals such as sulfur dioxide, mercury, and criteria pollutants (such as nitrogen oxides which cause smog, acid rain and contribute to ozone production), some of which are known carcinogens such as benzene and formaldehyde, and can also be sources of radioactive contamination. They also emit heavy metals such as lead and mercury, algaecides, fungicides, and volatile organic compounds and chemicals such as ammonia. 3,500 tons of carbon dioxide (by comparison the DEP estimates NJ CO2 equivalent emissions from electricity generation at 18M tons/year. This new plant alone would produce almost a 20% increase). 423 tons of carbon monoxide, which can cause headache, dizziness, vomiting, and nausea. High levels can cause loss of consciousness or death. Exposure to moderate and high levels of CO over long periods of time has also been linked with increased risk of heart disease. 305 tons of nitrogen compounds, which cause acid rain and are an ingredient in ground based ozone. 376 tons of particulate matter that can cause respiratory harm and also trigger a range of cardiovascular problems, including heart attacks, strokes, congestive heart failure, and reduced blood supply to the heart. 262 tons of ammonia. Exposure to high concentrations of ammonia in air causes immediate burning of the nose, throat and respiratory tract. This can cause bronchiolar and alveolar edema, and airway destruction resulting in respiratory distress or failure. Inhalation of lower concentrations can cause coughing, and nose and throat irritation. 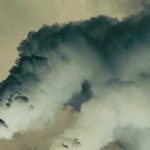 52 tons of sulfur dioxide, which irritates the nose, throat, and airways to cause coughing, wheezing, shortness of breath, or a tight feeling around the chest. Long term exposure may cause asthma. 1,000 pounds of benzene, a known carcinogen. + 8. How does the NJDEP (Department of Environmental Protection) regulate these emissions, including CO2, methane and ozone? The Federal Clean Air Act requires the United States Environmental Protection Agency (USEPA) to set National Ambient Air Quality Standards (NAAQS) for six common air pollutants. These commonly found air pollutants, also known as “criteria pollutants,” are particle pollution or particulate matter (PM), ground-level ozone, carbon monoxide (CO), sulfur dioxide (SO2), nitrogen dioxide (NO2), and lead. There are caps set for all of these and if a pollution source is expected to exceed any of them its air quality permit will be rejected. However, ozone is allowed an exemption through the use of ozone credits. In effect, ozone is the only form of air pollution that the DEP does not control. Applicants are allowed to buy ozone credits from defunct power plants. NBLG is already in the process of purchasing credits from plants in NY. Not only is the DEP not going to do anything about existing levels of ozone, they are not going to do anything to stop this from getting worse. New Jersey residents should also understand that the option to purchase ozone credits is based on NJ law, not federal law. This can be easily changed if the governor and the state legislature wished to do so. In addition, the DEP does not regulate CO2 or methane as greenhouse gases which are injurious to the climate. They do regulate methane separately as a Hazardous Air Pollutant. + 9. What will be the impact of these emissions on the health and finances of people in the area? This plant will emit hundreds of tons of pollutants annually including particulate matter, toxic chemicals, known carcinogens such as benzene and formaldehyde, and can also be a source of radioactive contamination. Exposure to these pollutants is linked to neurological, cardiovascular and respiratory disease (such as COPD and asthma), cancer, premature death and birth defects, increased susceptibility to infections as well as damage to lungs, liver, kidneys, reproductive, nervous and cardiovascular systems, increases in obesity, diabetes, Parkinson’s disease, Alzheimer’s and other forms of dementia and stroke. Developing fetuses and children are uniquely vulnerable. The New York/Newark area experienced 75 days in 2016 in which half or more monitoring locations reported elevated ozone and/or PM2.5 particulate matter increasing the risk of premature death, asthma attacks and other adverse health impacts. It cited a 2017 Journal of the American Medical Association study, (JAMA, 318(24): 2446-2456, doi:10.1001/ jama.2017.17923, 26 December 2017) in which researchers examined more than 22 million deaths in the Medicare population from 2000 to 2012 and found that a 10-parts-per-billion rise in smog pollution increased the daily mortality rate by 0.5 percent, regardless of how low pollution levels had been initially. It cited research at the Harvard School of Public Health (The New England Journal of Medicine, 376(26): 2513-2522, doi://10.1056/NEJMoa1702747, 29 June 2017), which found that death rates for older Americans rise as air pollution increases – even when air pollution levels are below current national standards. And global warming itself is a cause of increased pollution and premature deaths. Another study cited by Environment NJ estimates global warming will increase the number of air-pollution-related premature deaths. The analysis estimates that 1,130 Americans may die prematurely in the year 2030 from smog pollution made worse by global warming, and that the number of premature smog-related deaths could rise to 8,810 annually by the year 2100. The study also estimates that particulate pollution worsened by global warming could cause 6,900 premature deaths in 2030 and 19,400 premature deaths in the year 2100. Some homes in New Jersey are within 3,000 feet of the proposed plant and Harlem/Upper Manhattan (where one in four children suffers from asthma), which is downwind of the prevailing winds, is within 3.6 miles. Given the 30 to 40 year expected lifetime of such a plant, people in the area will be dealing with the health impacts for many years, even after the plant has closed. Assuming it operates for 35 years, the additional medical costs are estimated to be over $1.1B in societal (unreimbursed costs such as premature death and lost work days) and direct medical costs. + 10. What will be the impact of this plant on property values in the area? Studies have shown that power plants have a negative impact on property values for nearby homes. On average, properties within 2 miles of a non-coal plant lose 3% to 7% of their value and some studies showed the loss to be as high as 9%. + 11. What will be the impact of these emissions on climate change? The plant is expected to emit about 3.5M tons of CO2 and 1,000 tons of methane per year. Both are greenhouse gases, which increase global warming. Methane is 86 times more potent than CO2 as a greenhouse gas. New Jersey’s total greenhouse gas emissions in 2015 were about 101M metric tons. Electricity generation contributed about 18M metric tons. Adding 3.5M tons per year to this total is significant. + 12. What other risks and impacts will the plant have on the Meadowlands and surrounding communities including their water supplies? Wetlands such as the Meadowlands serve many beneficial functions. They are a natural filtration system, purifying our water. They preserve biodiversity by hosting a number of plant and animal species. They play a crucial role in flood mitigation by absorbing storm waters, protecting urban or residential communities in nearby flood zones. The construction of and pollution from the proposed plant could affect quantity and quality of water flows, thereby harming the delicate animal and plant habitats in the wetlands and undermining their critical hydrological functions. The rehabilitation of the Meadowlands, which has been a triumph for the local groups that have worked hard to recover this area, would be squandered in order to provide power to New York City residents. Air pollution comes back to earth with precipitation that makes its way into rivers and streams. The DEP measures this effect after the fact but takes no action to prevent it and no action based on results. NBLG stated in its DEP application that in addition to CO2 it will emit lead, particulate matter (PM10 and PM2.5), NOx, SO2, Volatile Organic Compounds, ammonia, butadiene, acrolein, arsenic, benzene, cadmium, formaldehyde, manganese, mercury, polycyclic organic matter, selenium and toluene. The plant will increase the rate of climate change by producing large amounts of CO2 and methane releases. New Jersey is already seeing the impacts of climate change in storms and rain/flooding events and sea level rise. These will only increase in intensity as climate change accelerates. The plant will be within the half mile US DOT Evacuation Zone for oil train derailments which have been known to explode and can only be handled by letting them burn out. The connection to the Williams pipeline may require upgrades to the line and expansion of its compressor station at Rivervale risking increases in dangerous emissions from the compressor station. The Rivervale South to Market project in turn would be a direct threat to the Oradell and Lake Tappan Reservoirs. The plant will require diesel generator backups for winter gas shortage situations which in turn will require storage of 1M gallons of diesel fuel onsite which has inherent risks of spills and leakage which would produce additional air pollution as well as ground pollution to sensitive wetlands and nearby water bodies. The plant will require 8.6M gallons of sewage discharge wastewater per day to cool the plant some of which will be released as steam. The water will com from the Bergen County Utilities Authority across the Hackensack River in Little Ferry via a new two-way pipeline. This cooling water can pick up heavy metals such as lead and mercury from the pipes and volatile organic compounds as well as treatments such as algaecides and fungicides all of which will evaporate in the water and contribute to the existing levels of air pollution. Nitrogen oxide pollution will contribute to algal blooms and is a major cause of heart disease. Emissions of sulfur dioxide and nitrogen oxides will cause higher levels of acid rain. The plant will require on site storage of chemicals such as ammonia, bleach and acids as well as trucks to supply these products that increases the potential for spills into nearby wetlands and steams. Gas infrastructures periodically conduct gas blow operations to remove debris. One such operation at the Kleen Energy Systems LLC power plant in Connecticut in 2010 vented gas into an area where it could not easily disperse. It exploded and killed six workers and injured 50 others. + 13. Where will the gas come from to power this plant? NBLG plans to connect to Williams’ Transco Pipeline. Construction would require digging a 40 foot wide trench through the Meadowlands, thus risking damage to sensitive wetlands. Providing gas for this plant is undoubtedly one of the driving factors for Williams’ plans to add another compressor station in Roseland within a flood plain next to the Passaic River. It would increase the amount of toxic pollution released through leakage and deliberate gas blow downs into the surrounding areas. The existing compressor already has caused problems with emissions from blow downs. + 14. What other impacts will the use of fracked gas have on people and the environment? Fracking has drastic impacts on the environment. It poisons the groundwater near wells by pumping in a mix of hundreds of chemicals and water in order to make it easier to extract the gas. It also produces toxic air pollution. The wastewater that is pumped out of the ground is toxic and needs to be treated or stored but has been dumped by roadsides or into water bodies. This wastewater also brings up radioactive elements increasing its toxicity. Fracking operations leak methane (a powerful greenhouse gas) into the atmosphere. Fracking utilizes enormous amounts of fresh water, up to 9.6 million gallons per well. Fracking can also cause earthquakes. People living in fracking zones have lost the use of groundwater, making their property worthless and have suffered terribly from its impacts on their health. + 15. What is this industry’s track record for environmental violations? The top 11 electric plant operators in the U.S. have been fined over $13.3B since 2000 for 161 environmental violations. + 16. What permits has the DEP approved so far? + 17. Why hasn’t the DEP stopped this plant? What is the likelihood it will do so at some point? The DEP staff is required to follow the processes and procedures that were in place in the Christie administration. If a permit meets these requirements they have to approve it. The new Energy Master Plan that Governor Murphy has requested could change these procedures but it will not be available until some time in 2019. Neither DEP Commissioner McCabe nor Governor Murphy have made any statements in opposition to this project. + 18. What is the status of the remaining permits needed? What is the likelihood they will be approved? The DEP has said it is likely that the air quality permit will be approved. Other organizations need to approve other permits. There is no feedback from any of them to cause us to believe they will oppose these permits. + 19. Why isn’t Governor Murphy stopping this plant? What is the likelihood that he will do so at some point? Governor Murphy, when asked about this project said, “”All I know is that I believe our Department of Environmental Protection is reviewing the case,” Murphy said when asked by a reporter. “I don’t really have a whole lot. I have to admit I always scratch my head when something is being done here that another state will benefit from. Beyond that I don’t have an opinion.” (NorthJersey.com, May 9, 2018). In effect the governor is saying that despite this plant’s impact on his plans to move New Jersey to 100% renewable energy and its impact on the health and welfare of millions of people in Northeast NJ and its impact on climate change, he knows virtually nothing about it. If we take him at his word he is woefully ignorant at best and incompetent and uncaring at worst. If we assume he can’t be this ignorant or incompetent the answer is likely that he wants to keep the unions happy and continue to receive their support and funding and he also wants to keep Nick Sacco, a big supporter, appeased and happy. Therefore, the likelihood that he will oppose this project at some point is probably zero unless we make him so uncomfortable that he has to change. + 20. 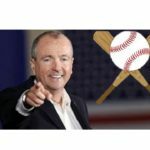 How can Governor Murphy say he wants to put NJ on a path to reach 100% renewable energy production while not stopping fossil fuel plants like Governor Cuomo? This is a great question. The Governor signed an Executive Order (28) calling for the total conversion of the State’s energy production profile to 100% clean energy sources on or before January 1, 2050. NJ’s total GHG emissions from electricity production in 2017 were 18.6 million metric tons per year. The Meadowlands power plant has the potential to add 3.59 million metric tons of GHGs per year, which would increase the GHGs from electricity production in NJ by 19.3%. This is exactly the opposite of the Governor’s stated objective in EO 28 and will only make it more difficult to achieve. Furthermore, this plant, if built, will come on line in 2022 and could be operational for 40 years, which means it will stop consuming fossil fuel in 2062, well beyond the target date of 2050 for ending energy production from fossil fuels. When asked about this contradiction, the governor refused to engage and just said that NJ will get to 100% renewable energy by 2050 with no further explanation. + 21. What authority do the Governor and the DEP have to stop this power plant? The state has the authority to regulate the emission of greenhouse gases and reject the NBLG permit application under Title V of the Clean Air Act. The New Jersey Global Warming Response Act requires an 80% reduction in greenhouse gasses from the baseline year of 2006 by 2050. Stopping this increase in greenhouse gas emission would be entirely reasonable as one tactic to meet this requirement. As part of its re-entry into the Regional Greenhouse Gas Initiative (RGGI), NJ is supposed to be reducing CO2 emissions, not increasing them. RGGI calls for a cap on CO2 emissions from the production of electricity of 13M tons per year. NJ is currently at 18M tons and will increase to 21.5M tons if this plant is built. Governor Murphy has the authority to call for a total moratorium on new gas infrastructure projects or at least require all gas power plants to shut down by a certain date. Both actions would have dramatic effect on the willingness of companies to invest in new gas infrastructure. + 22. Why is Mayor Sacco of North Bergen strongly supporting this power plant? North Bergen will receive a few million dollars/year in increased property taxes, while all neighboring towns will suffer increased air pollution. NorthJersey.com reported on July 6, 2018 that “North Bergen officials who support the project because it could bring hundreds of thousands of dollars in extra revenue to the town have said that there would be no direct affect to residents because of its location in an industrial corridor.” This statement is obviously misleading. No one is complaining of the location being in an industrial corridor. The problems are related to the direct effect of the emissions which will pervade nearby communities for many miles and many years. + 23. Why is this plant being built in a densely populated area that already has a major power plant nearby? The location is optimum for the business plan to generate and sell power to New York and the only governmental forces that can stop it have refused to do so. + 24. Wouldn’t a renewable energy power plant meet everybody’s needs and be a much better solution? Of course but this is not being investigated and the DEP cannot require the applicant to replace their fossil-fuel based proposal with one using renewable technology. + 25. Is there a renewable energy option? + 26. Does North Bergen Liberty Generation have any customer commitments? We do not believe they have any customer commitments as they have said they plan to send all the power to Con Ed and the NYPSC and NYISO are now requiring a full study to see if this power is needed. + 27. What is the status of Con Ed’s agreement to use this power? Con Ed has expressed concerns about the amount of power that will be generated and the nature of the interconnection that will be used. However, if the NYPSC and NYISO agree that the power is needed Con Ed may not have the ability to refuse to accept it. + 28. How many municipalities have passed resolutions opposing this power plant? The Bergen County League of Municipalities has passed a resolution opposing the power plant. The mayors of Carlstadt, East Rutherford, Lyndhurst, Moonachie, North Arlington, Ridgefield, South Hackensack and Teterboro approved a motion denouncing the project at the regular meeting of the Hackensack Meadowlands Municipal Committee, a division of the New Jersey Sports and Exposition Authority, which controls most land-use issues in the 14-town wetlands district. + 29. 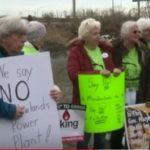 What is the Don’t Gas the Meadowlands Coalition’s plan to stop this power plant? Our plan is to get most of the towns in Hudson and Bergen counties to state their opposition and then ask freeholders in both counties to support their towns and keep pressuring Governor Murphy with this evidence that this project is wildly unpopular and that he needs to stop it. + 30. What can I do to stop this power plant? • Sign our petition here. • Continue to call Governor Murphy at 877-814-5667 to let him know you oppose it. • Contribute to support our efforts such as the billboard in Ridgefield (shown on this web site). • Attend hearings conducted by the DEP (expected at some point regarding the air quality permit). • Contact your local, regional, state, and federal representatives and tell them that you oppose the North Bergen Liberty Generating Project. • Share information on social media, with your neighbors and with your communities. Click here for a downloadable copy of these FAQs, suitable for printing. That file contains footnotes for more sources of information.